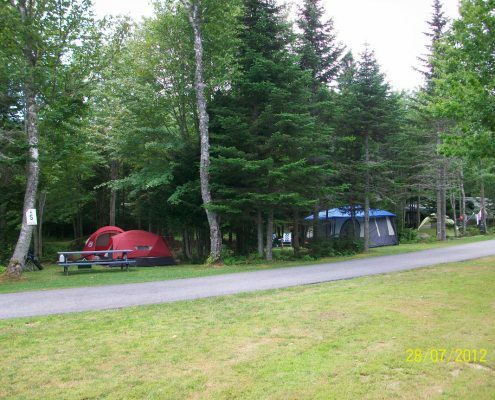 A small, quiet campground nestled among fir trees, white birches, and native Deer Isle granite in beautiful Stonington, Maine. 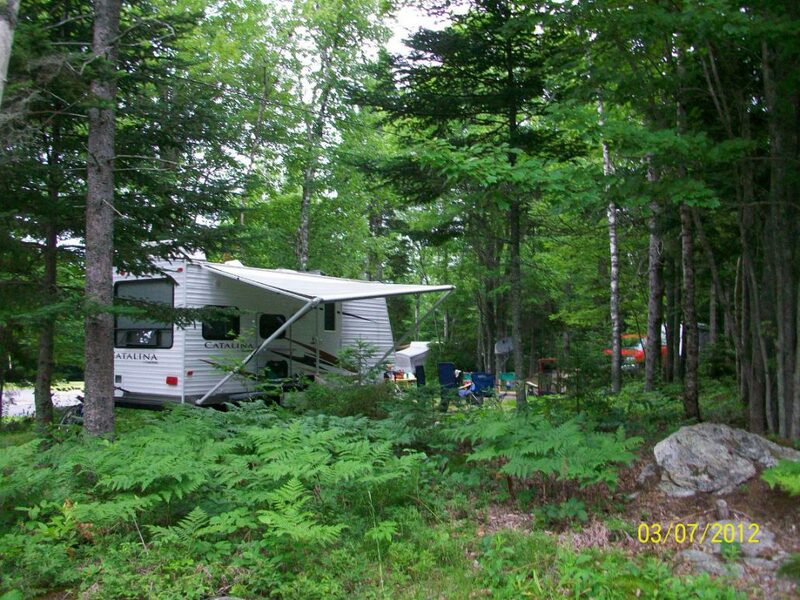 Large wooded or open campsites have full hook-ups, paved roads, and nicely maintained grounds. A bath house is available for hot showers (and even includes a book exchange library). 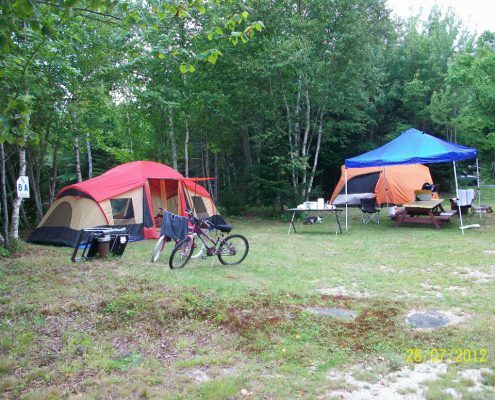 We can accommodate everybody from the largest rigs to a one man tent, with two primitive tent sites; tent or small RV Sites with 20 amps and water; RV sites with 30 amp full hook ups, and six 50 amp full hook up sites. 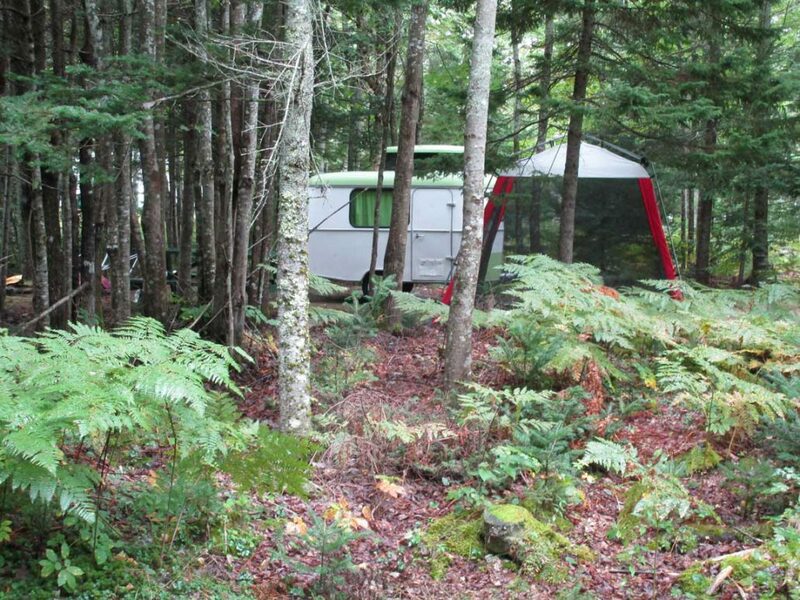 We are the ONLY campground in the area with full hookups! Wi-Fi is available and we have good cell service. 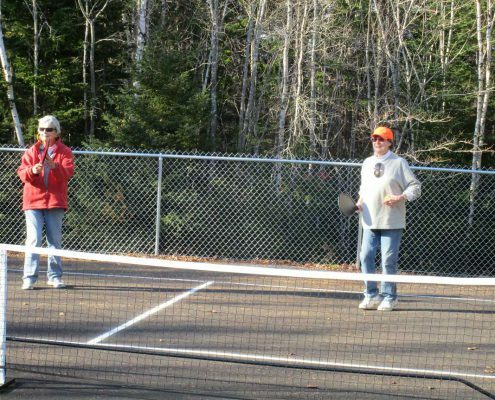 Our new pickleball court is very popular (we’ll show you how to play! ), and a ping pong table and card games are available in our small rec building. 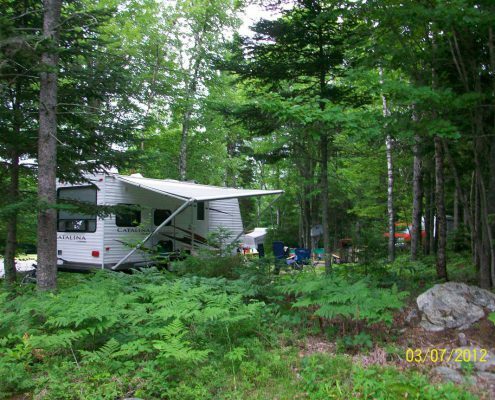 RV sites with full hook-up. 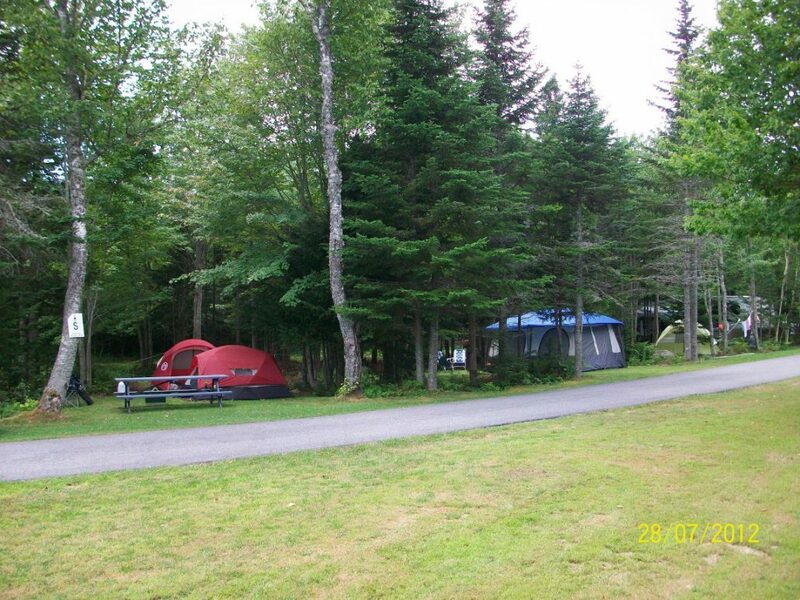 Greenlaw’s RV Park & Campground is not directly on the water – we are located a mile or so from Stonington Harbor, the largest lobstering port in the state of Maine. 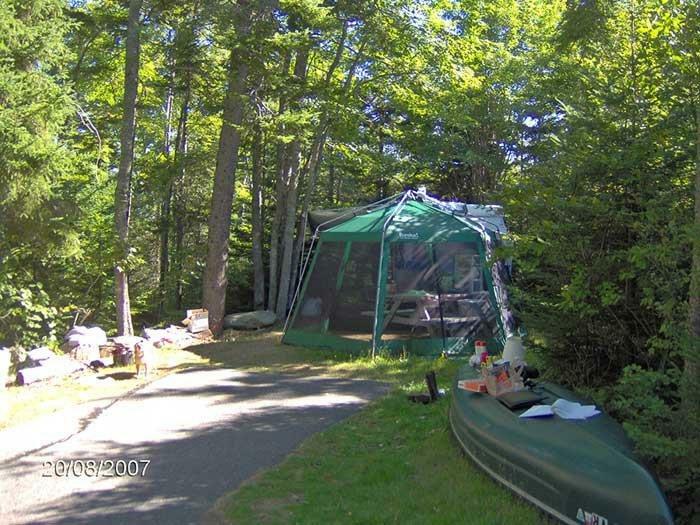 You can buy your lobsters at the dock, borrow a lobster pot from us, and have your own DownEast Feast at your site! We also sell firewood for your campfire. Make sure to have your picture taken with our Bear, a new sculpture by local artist Peter Beerits. 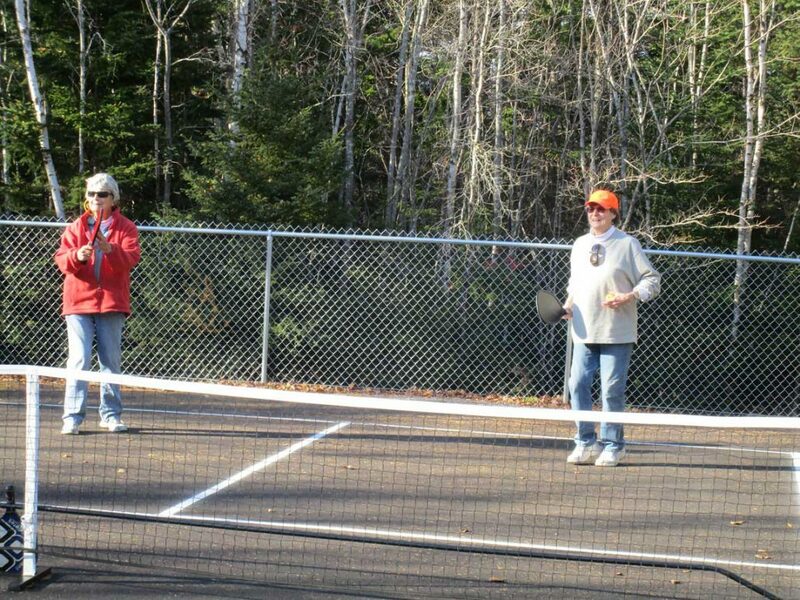 Our friendly camp hosts Kathy and Valerie, and campground owner Judy, work hard to bring you the best experience possible at the Park and offer helpful suggestions for local activities and resources during your stay. 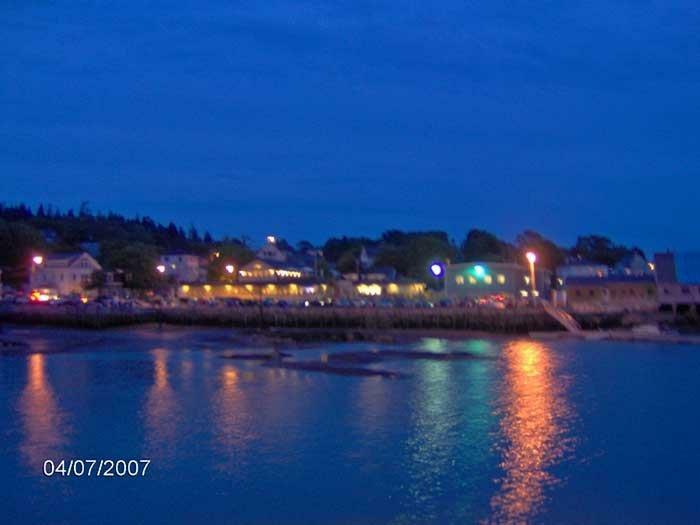 A lobstering community off the beaten path with Beaches, Hiking Trails, Kayaking, Tennis, Golf, an Opera House, Galleries, Boat Tours, Fishing, Restaurants, Friday Morning Farmer’s Market and Friendly People, all on the Island of Deer Isle, Maine! 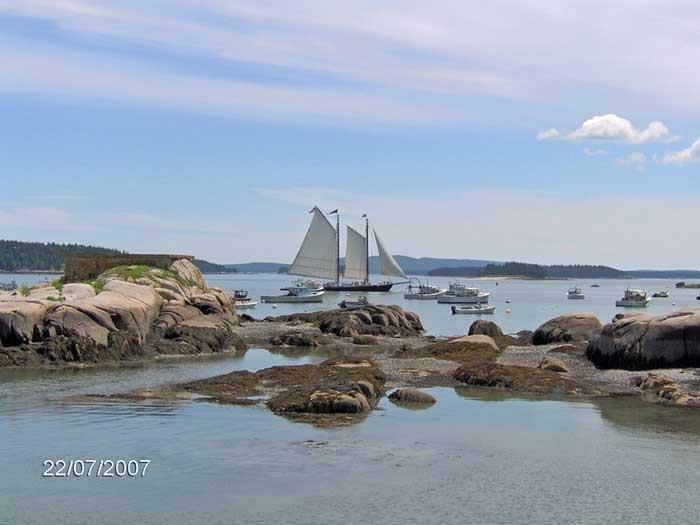 Enjoy the beautiful harbor at historic Stonington just a hop, skip and a jump from our Park. Birders flock to Deer Isle and it is also a painter’s paradise. Artists: show us one of your paintings to receive a 5% discount! 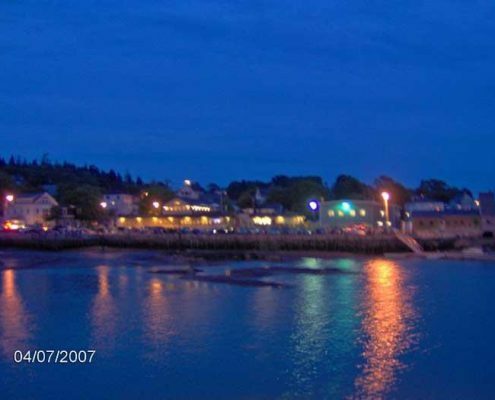 Maine Sales Tax of 9% will be added to these charges. To make a RESERVATION, please send us a check to cover the cost of your stay. 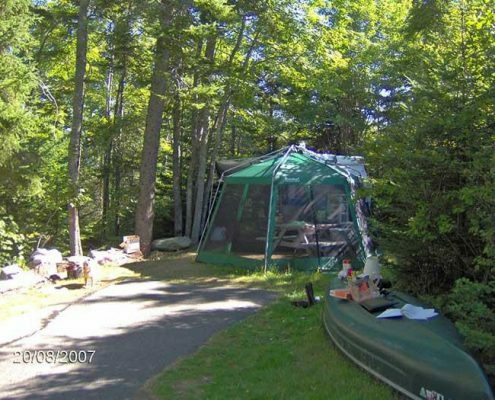 Use our rate chart and add 9% Maine Sales Tax to the total OR contact us and we’ll help you figure out the amount. 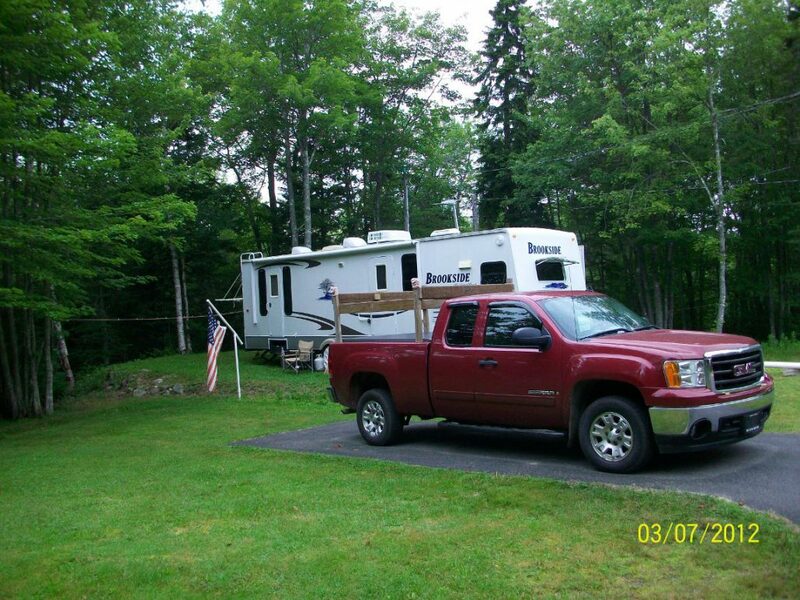 Make check payable to Greenlaw’s RV Park. CANCELLATIONS may be made up to a day before your arrival date for a full refund. We don’t cash your check until you arrive. 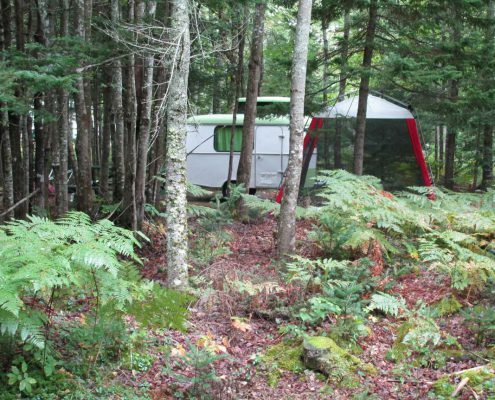 Long term sites are available. Want to stay on beautiful Deer Isle for the summer? 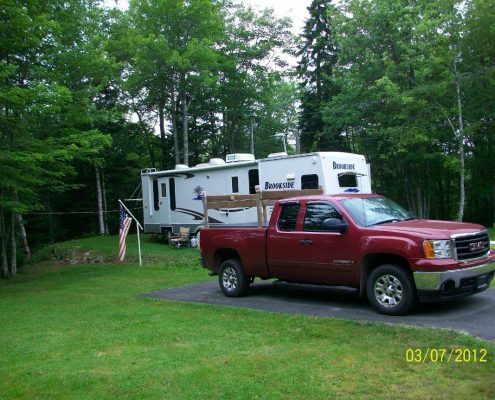 You can lease a site for six months at a very reasonable rate. 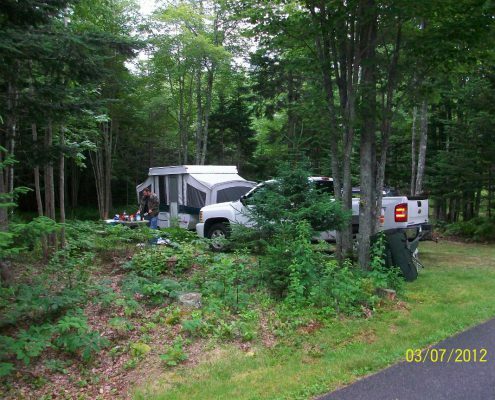 Yearly rates are also available if you want to store your unit on your own site during the off season. 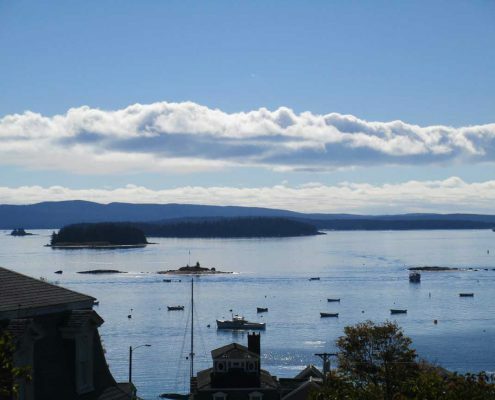 Long term sites are a smart option for those who love Deer Isle-Stonington, Maine. 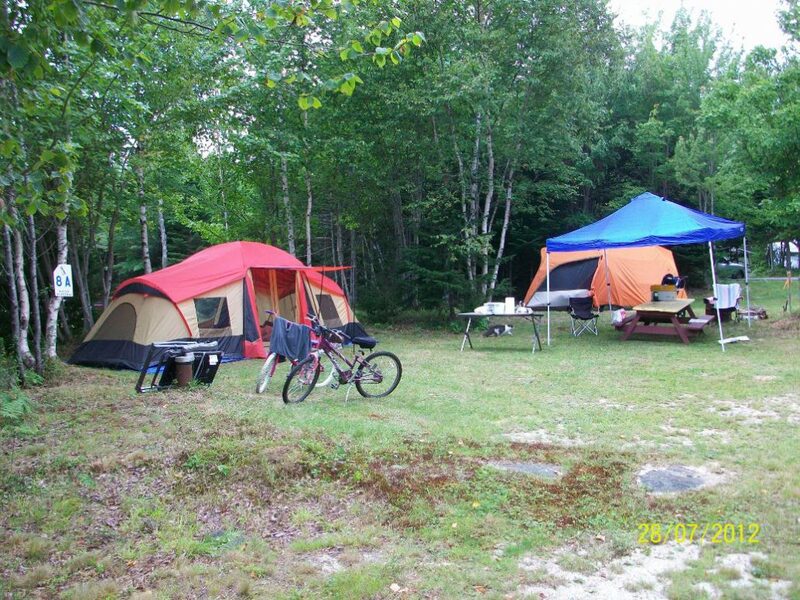 We are the ONLY campground in the area with full hookups! Contact us for more information. 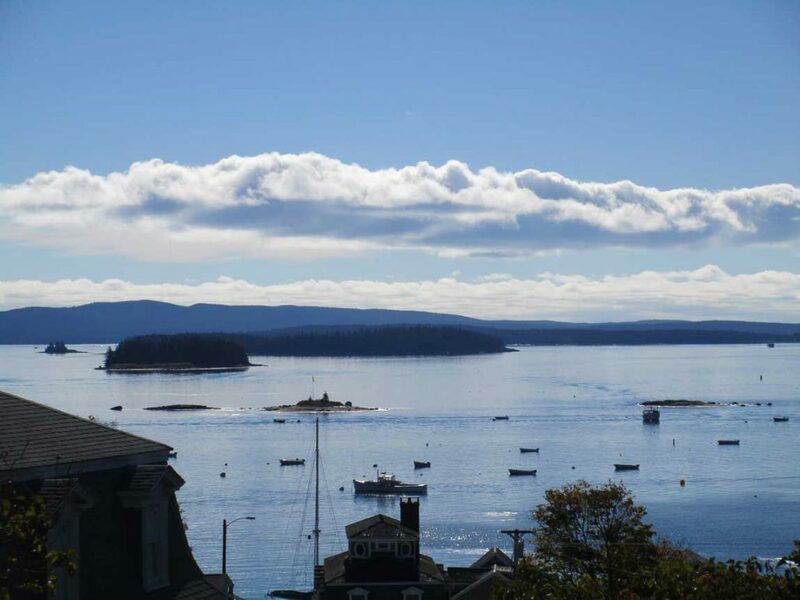 207-367-2928 – In season, June – September. 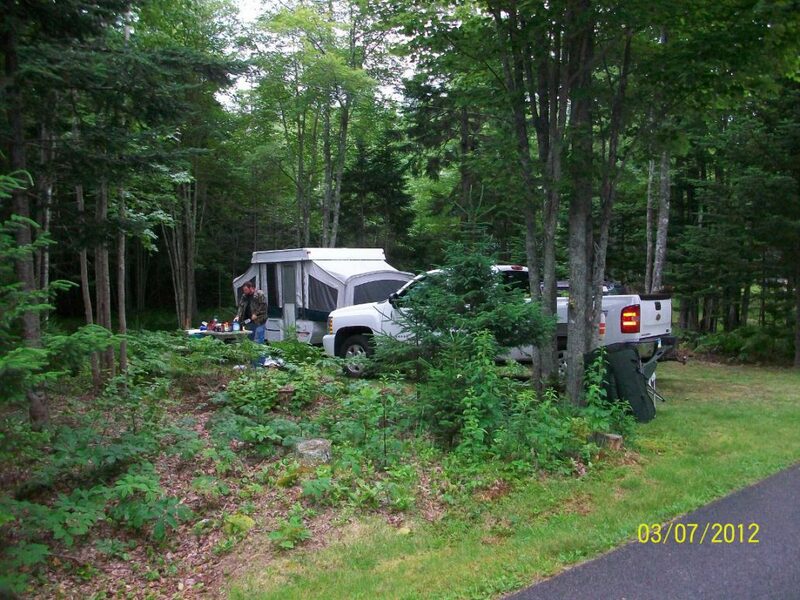 207-348-5608 – Off season, October – June, and/or when our in season number is unavailable.